You may have a need to monitor your home or office remotely. You will need a webcam at the location you wish to monitor and a computer with a always on internet connection. Logitech is still my favorite webcam but there are many on the market, so choose one that fits your budget and tastes. Install the required software and drivers for the camera of your choice and insure that it is operating correctly. 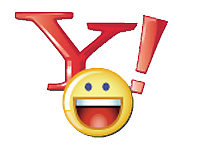 You need two Yahoo accounts and Yahoo messenger. One account will monitor and the other will transmit. Make sure each account has the other account in its user list so you can see it online. At the transmit location log onto Yahoo Messenger with the account that will transmit. Set the preferences in Yahoo messenger to NOT display the 'view my webcam' message. This will keep the random users from trying to access the camera. Also set in the Yahoo preferences to always accept incoming video requests from the Yahoo ID(s) that you will use to view from. That does the setup part, so now just launch your webcam from Yahoo messenger and your ready to go. You can set your screensaver to password protected to prevent someone from shutting it down, and turn off your monitor. Now from the viewing location, logon to the Yahoo messenger account that will monitor. You should see the transmitting Yahoo ID in your list. Right click that user name and select view webcam from the dropdown menu. That's all there is to it, for quick and easy monitoring on the cheap!